There is still time to sign up for the race! The 2019 Cummins Falls Marathon is February 23, 2019. This event will have (4) races and all are very scenic with the marathon, half marathon, 10K and 5K courses following the Blackburn Fork State Scenic River for a good portion of the race. All of the courses are run on the road but you still have the opportunity to enjoy the beautiful scenery of the State Park. The (3) longer races are quite challenging as they include steep hills. 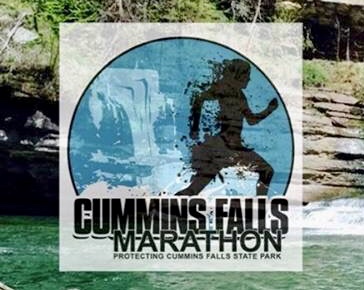 The Cummins Falls Marathon is also for a very good cause as all proceeds go to the help of purchasing additional land that is needed to protect Cummins Falls State Park. So come on out for a great cause, great fellowship and some really GREAT scenery! Go to: http://www.ultrasignup.com to register and receive additional information. Good luck to all the runners! WE HAVE CABINS AVAILABLE FOR THIS WEEKEND SO CALL TODAY TO MAKE YOUR RESERVATION!